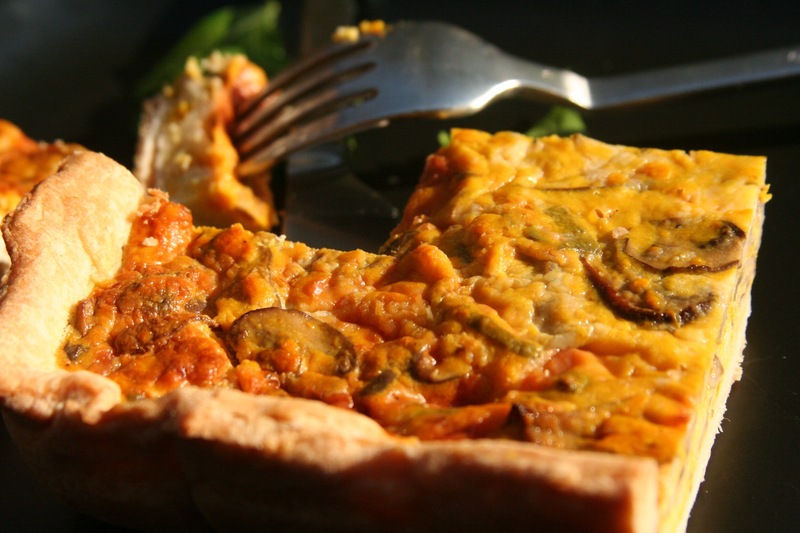 Fresh sage adds an irresistible flavour to this quiche. Come join The Hester’s event this Thursday, to get a taste of this fabulous food. Instructions: place the flour, butter and salt in the bowl of a food processor fitted with the steel blade. Pulse several times, until the mixture is uniform and resembles coarse meal. (If you don’t have a food processor, use a pastry cutter or 2 forks instead). Transfer the crumbled almost-pastry to a mixing bowl and using a spatula, add the water one tablespoon at a time while working it in to the mixture until it comes together, forming into a dough. Turn the dough out onto a floured surface and gather it gently into a ball. Roll the dough into a circle 11 inches or so in diameter (slightly bigger than a 10-inch round). Lift the dough and ease it into a 9-inch pie pan or 10-inch springform tart pan, nudging it gently into the corners. Form a generous, even edge all the way around the sides. Cover with plastic and refrigerate (or freeze) until ready to use. Directions: preheat the oven to 350°. In a very large skillet, heat the oil. Add the mushrooms and sage cook over high heat, stirring, until starting to brown, about 3 minutes. Add the grated pumpkin, reduce the heat to moderate. Add the butter, onion and thyme and cook, stirring often, until the vegetables are tender, about 12 minutes longer. Season with salt and pepper and let cool. Scatter half the cheese on the prepared crust. Beat the eggs with the sour cream. Add the vegetable mixture and pour it over the cheese. Scatter the remaining 1/4 cup of cheese on top. Bake the quiche for about 1 1/2 hours, or until richly browned on top and the custard is barely set in the center. Enjoy!